Calming and relaxing. Six pack - each tea light burns 6 - 8 hours. 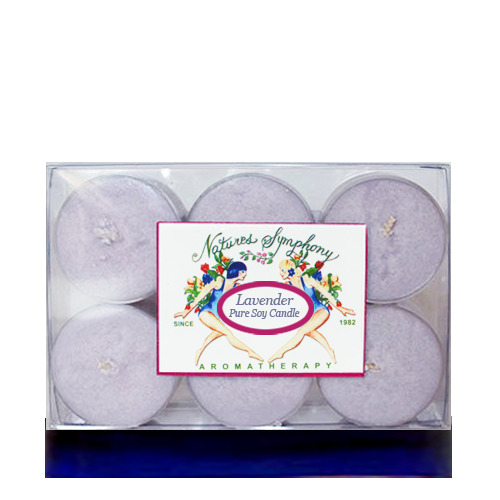 Our pure delightfully aromatic soy candles are custom made for us using our own essential oils.